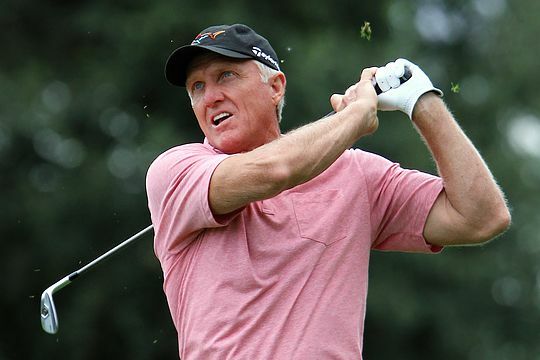 He might be approaching 61 and have the physique of a man half his age, but Greg Norman won’t be making any farewell appearance at St Andrews at July’s British Open. While Sir Nick Faldo, Bernhard Langer and Tom Watson have all agreed to St Andrews Open swansongs, Norman insists he will not be joining them. The 1986 and 1993 Open champion says he simply would not be ready to contest the Open and doesn’t feel he could deprive a younger player of their spot in the field either. “I am doing two USGA events [commentary] for Fox in the weeks leading up the Open so I really would have zero time to practice. The Great White Shark pointed out that young player might turn out to be the next Tom Watson, or Nick Faldo, or Greg Norman or Tiger Woods. “You just don’t know,” he said. And when it was pointed out to Norman that this was his last year of eligibility as a former champion, without special dispensation, he merely flashed that marvellous smile that has won him so many fans around the world. “I thank all my fans out there over many decades that have supported me,” he said.